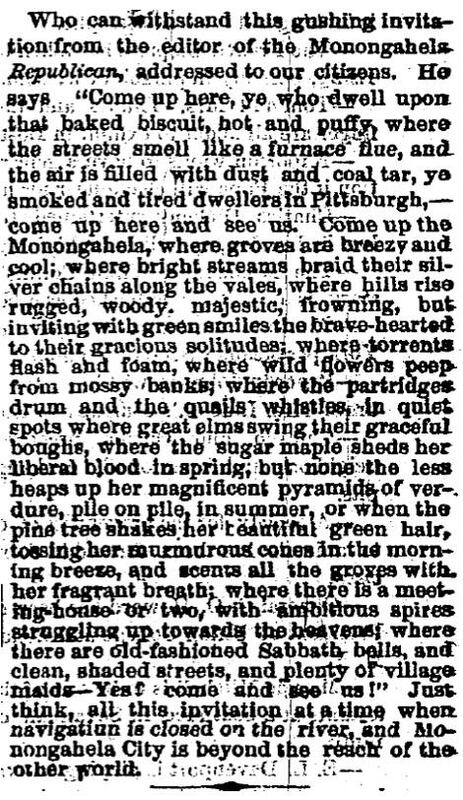 I usually try save these old articles and post them on Lost Monongahela on the same date as they were published decades ago but I just couldn’t wait with this piece. It was written by the publisher and editor of the Monongahela Republican, Captain Chillion (Chill) W. Hazzard and was published in the Pittsburgh Daily Gazette and Advertiser. Hazzard’s intent must have been to encourage readers to visit Monongahela for the July 4th holiday but since the river was low (ruling out travel by packet boat) and the railroad didn’t reach Monongahela City yet, it would have been a major undertaking to travel from Pittsburgh to Monongahela by any other means. 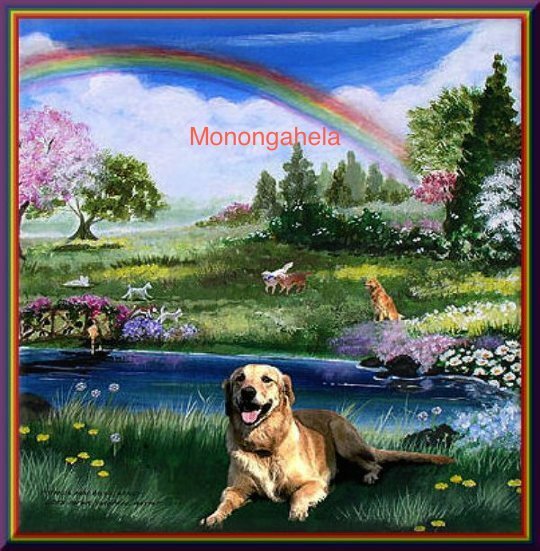 Just think, all this invitation at a time when navigation is closed on the river, and Monongahela City is beyond the reach of the other world.